Get 12% off your next purchase at the Jamie Oliver Shop with our exclusive voucher code. Click ‘Get Code’ to get the voucher code and open the Jamie Oliver website. Once you’ve found the items you want, add them to your basket. Click on the basket icon in the top right corner to view your shopping basket. Underneath the shopping basket you’ll find it says ‘Got a Discount Code? Enter it here’. Type in the TroopScout voucher code into the box provided and then click add. Once the discount has been applied, click ‘Checkout Securely Now’. Login as an existing customer or continue as a new customer. If you’re a new customer, enter your name and email address, then click ‘Continue’. Enter delivery and payment details before finally clicking ‘Submit my Order’. 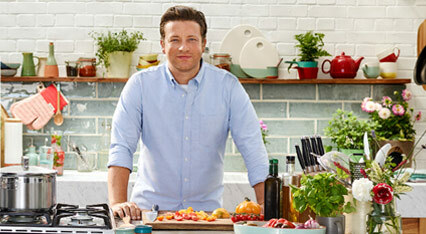 Find all things to do with Jamie Oliver the chef right here! Whether you’re looking for his range of cookbooks, signature cookware, bakeware and tableware or simply a browse through the vast array of original mouth watering recipes, you’ll find it all here at jamieoliver.com. This discount promo excludes books.